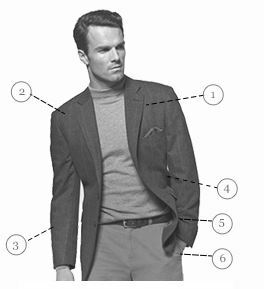 Jacket: Two button. Single breasted. 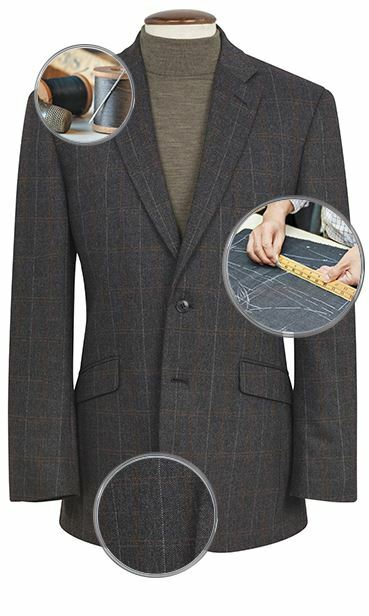 Tailored fit with narrower lapels. Angled pockets. 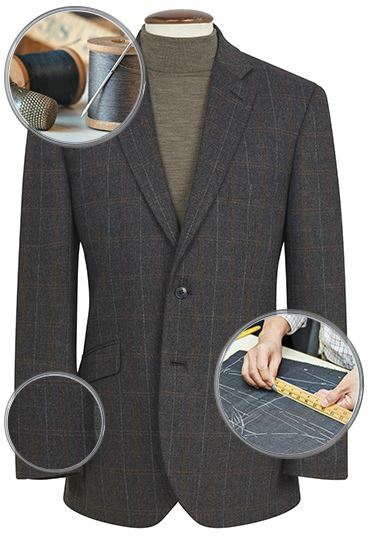 Hand stitching on lapel. Four button cuff. Side vent. Angled pockets. Ticket pocket. Fully Lined. Dry clean only. A speedy process for ordering with an easy to understand system. 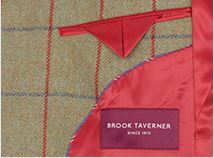 The quality of Brook Taverner goods is excellent particularly their jackets, I now have three. 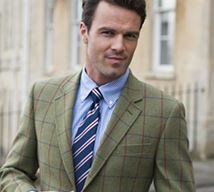 I ordered the suit on a half price offer, arrived quickly and fully informed re progress of delivery. Unfortunately I was sent the wrong size jacket (a 42 rather than a 40) although this was an easy mistake to make as it was wrapped up and on a 40 hanger. This was returned for free and the correct size sent in a few days with no problem. Suit looks and feels like good quality, although I have not had chance to wear it yet!